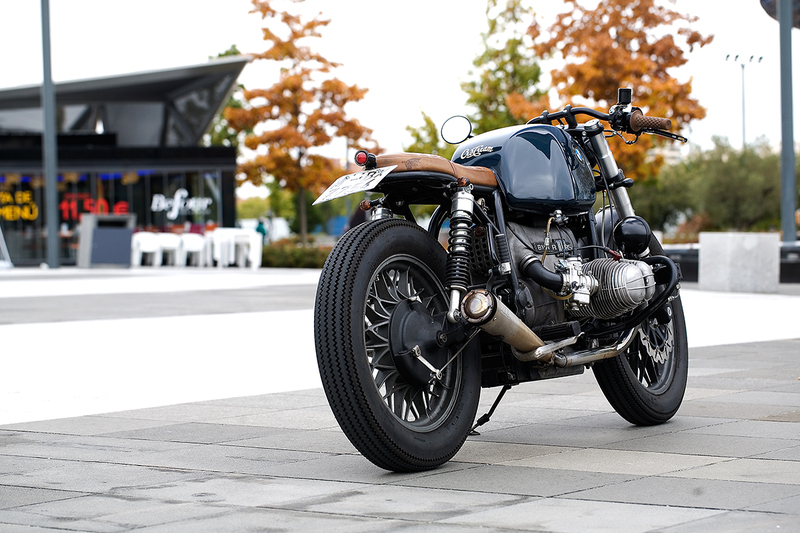 Words written by Ross Sharp for The Bike Shed about CRD61 Cafe Racer. The donor is a choice one, a 1978 R100RS, which in stock form is not quite as smooth running as the R80. I won’t go into geekery about piston weights but needless to say the motor was torn-down for a comprehensive rebuild. A properly balanced 1040cc piston kit now dukes it out and a brace of burly Dellortos on fuelling duties. Once these motors are in pieces it’s a chirlish man who doesn’t pop in a fresh clutch, CRD fitted a new plate on the back end and an upgraded charging system on the other. Stainless headers lead to Supertrapp adjustable mufflers. For those not familiar with the system, a series of metal discs control back pressure and therefore decibels, a handy solution from our friends across the pond. Another American import to have made a splash in Europe is Firestone’s Deluxe Champion tire, sorry tyre. (They make great stuff but can’t measure things or spell). Despite that Cafe Racer dreams was keen on this now traditional look as opted for a sensibly sized set, avoiding the cartoon sizes often seen on these pages. Anyone who’s ridden a seventies or eighties R-series will be aware of the shortcomings in the braking and handling departments. Later forks and Brembo brakes were OK but the set-up fitted here is more up to date, liberated from a Ducati GT1000. A Brembo lever and master cylinder from a radial system provide the pressure while Brembo calipers grip the Galfer wavy discs. Internal handlebar wiring and micro buttons reduce clutter and the bare minimum of idiot lights are sunk into the top yoke. 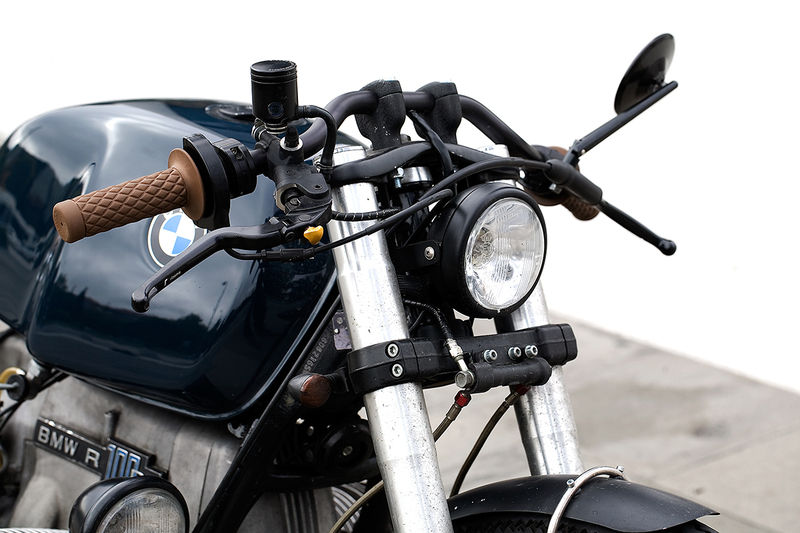 A small headlight nestles between the chunky fork legs helping to create a burly stance, backed-up by a mid-mounted spot lamp. Click here if you want to see more pictures of CRD61 Cafe Racer on Instagram. 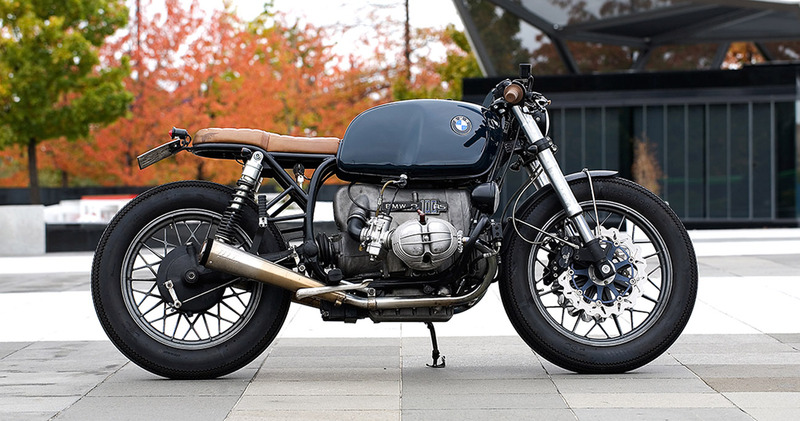 This link will take you to the full article that the Bike Shed wrote about CRD61 Cafe Racer.